Interesting story here about one of John Jorgenson's Selmers that may have connections to Django. Yes I think this is much more likely but it is nice for someone to feel they had a guitar that Django played, albeit only briefly, or even just touched. I believe he and Doug Mattocks and Raul Reynoso are documented with their guitars in the Charle book in the last section on current artists who play Selmers. Those three had a band called the "Rhythm Brothers". It was one of the first Jazz Manouche revival bands in the USA. I saw those three guys play a gig back then, but they were doing an American Hot Jazz set with John playing clarinet. They called themselves the "Main Street Boys" when they did Trad/Hot Jazz. They were great. I don't think I even knew that Jazz Manouche existed back then. Sure, I had some Django music, but I just thought of it as Hot Jazz with a European flair. Selmer 704 was taken by Django on March 1948 directly from Selmer. 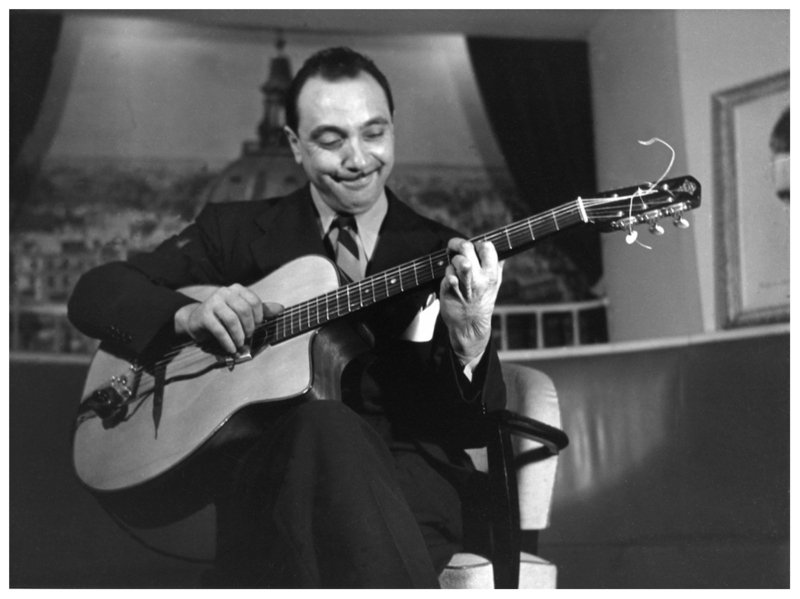 The previous photo shot by Serge Jacques probably shows it, that's clearly a brand-new guitar and Django appears to be really satisfied to play on it. Selmer 704 was taken in 1948 by Django directly from Selmer. This Selmer was taken for sure by Django to tour Italy for the second time in 1950 and this guitar was dammaged and then given by Django to Grappelli. 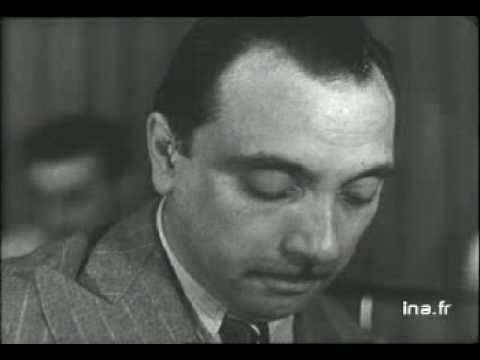 Finally the guitar was repared by an unknown luthier in Italy with an horrendous round ronde and offered by Grappelli to an italian guitarist (unknown) that played in the Rai Orchestra (but it wasn't Franco Cerri). In fact they had played together in the mad jams of Rome nights at Trovajoli's house. Italian luthier Leonardo Petrucci had possessed Selmer 704 for a while and has worked on it and he said that the harmonic table with the round hole could have been effectively repaired first in Italy. Guitar 704 was then said to have been restaured by Maurice Dupont that changed the harmonic table again back to an ovale hole. But Maurice told me that he just couldn't remember that Selmer. Later on the guitar was sold by François Charle. We see Django using a variety of different pick-ups around this time.